There was a new upgrade in the SimplyBook.me appointment system last week! The SimplyBook.me team has now added Outlook calendar sync to the Calendar sync custom feature. 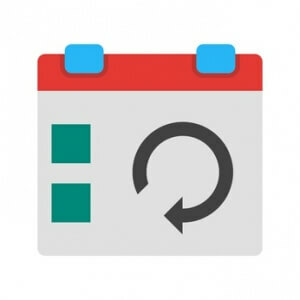 This means that employees/staff can now sync their personal calendars to avoid bookings when personally occupied whether they are using Google calendar or Outlook calendar. Of course bookings on busy times can also simply be avoided by easily blocking hours in the SimplyBook.me scheduler software. I have to say that I love this functionality! It’s arguably the simplest Outlook sync I’ve ever seen and it works seamlessly. That said, I’m the only person who can use it because I can’t create a calendar sync on behalf of my Providers and it doesn’t make sense to give Providers full Administrative permissions to the entire company site just to create the calendar sync. To make this feature actually useful, there needs to be a for the individual Provider to create their own sync without being an Administrator. Alternatively, there needs to be a way for the Administrator to create the sync on behalf of the Provider. You are absolutely correct, and good point. Employees would need to have access to these settings! Will be put on task list. I see that when a client receives confirmation message they have the opportunity to add to their calendar. How about for the employer? How can i add all the bookings to my calendar? Or do i have to pay for this option?